While new smart phones and tablets might have been all the rage at CTIA Wireless 2011, Avaak’s consumer-friendly personal video monitoring camera solution caught my eye. Unlike complicated and expensive systems that may even require wiring for power and video, the Vue is entirely wireless and runs on a single battery. It even allows remote monitoring for smart phone owners. When I first caught a glimpse of the Vue, I assumed it was a wireless security camera system. After having a chance to chat with company representatives, I soon learned that it was just the opposite. The Vue is rather a novelty gadget to keep an eye on various parts your home when away. While traditional security cameras are bulky and obtrusive for casual settings, Vue has an elegant and subtle design. For those wondering, these wireless cameras do not run on WiFi. According to the folks at Avaak, Vue uses a proprietary wireless technology which is better suited for low power consumption. The wireless technology has a range of about 300 feet, but obstructions will reduce that number drastically. To get these cameras up and running, customers will need to connect a base station to their home network with an Ethernet cable. The cameras securely connect to this device, which makes a video feed available through any recent web browser. A single Vue gateway can pair with up to 50 cameras, but it can only stream one feed to one device at a time. Touching back on the topic of security, Vue does not continuously stream video. If you are looking for continuous monitoring, this probably is not for you. These wireless cameras essentially hibernate until you tune in with a computer or smart phone. This is because these devices run on a small CR123 battery and do not support a wired power source. According to Avaak, the wireless cameras will last nearly one year with a new battery if used for approximately 5 minutes each day. Customers do not need any software to get Vue setup a running, any web browser will do just fine. The web interface allows scheduling recordings, email notifications for motion detection, and accessing up to 20 hours of recorded content. Capture quality is about 2 megapixels with a fast network connection. Users will have controls to pan and zoom on a live video stream too. Avaak offers three battery-powered camera models for various situations. The Vue CI is the most affordable model for indoor use. 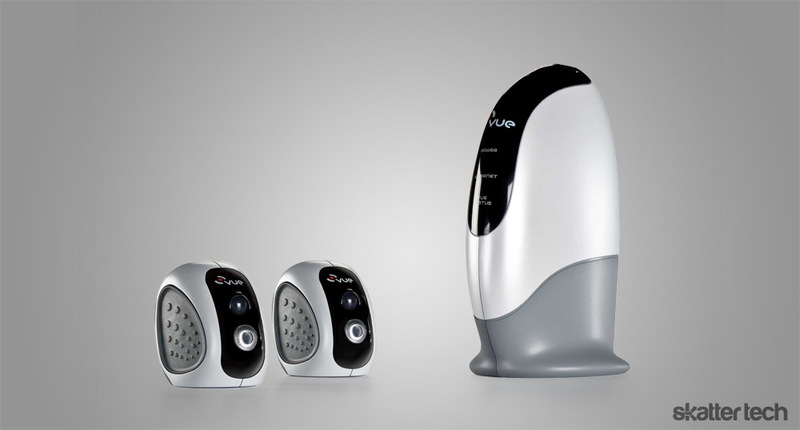 The Vue CM is essentially for the same environment, but it also packs motion detection capabilities. Last but not least, the Vue CO is an outdoor iteration also with motion detection which can withstand harsh weather including rain, snow, and wind. When movement is detected, VueZone notifies users with email alerts. Customers connect to the service with a computer or smart phone to view the live stream. For those wondering, there is an option to configure the Vue to automatically capture still shots or short video clips when triggered. A VueZone Mobile app is available for Android, BlackBerry, and iOS devices. Having all major mobile platforms covered is a great move on their part. With the app installed, users can login to view a live video feed over a 3G, 4G, or WiFi connection. 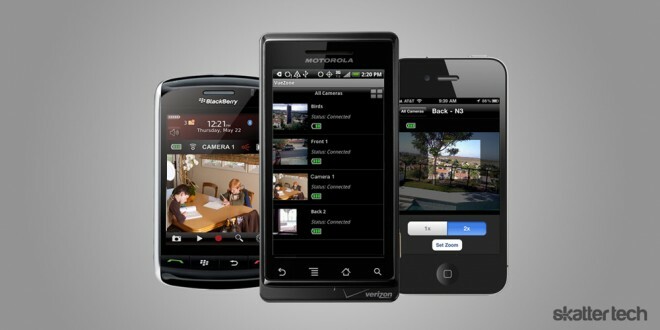 The mobile interface lists the available wireless cameras with thumbnails of last-seen imagery. There is a record button to save the video you are viewing. Customers can also share captured clips or live streams with family and friends too. I was somewhat disappointed to hear that none of these apps support push notification for motion detection alerts. The representative said notices are entirely email based for the time being. I would not be surprised to Avaak include support for this feature in a future update. Avaak offers the Vue in bundles. Two indoor Vue CI cameras and the gateway station retail for $269. Another package includes two Vue CM cameras and the gateway station for $319. The company also lets customers purchase additional cameras separately. The Vue CI, CM, and CO go for $99, $129, and $159 respectively. Unfortunately, access to the VueZone web service will cost users extra. Avaak charges $20 a year, which equates to just a little over a dollar each month. We will get our hands on a unit soon, so check back for a full review in the near future. Please reply back as I’m trying to create my own site and would like to find out where you got this from or exactly what the theme is named. Thanks!